The GRAMMYS took a hit. CBS: The GRAMMY AWARDS fell 27% from last year’s preliminary ratings, down 1.9 to 5.4. (The 2017 final number went up half a point from prelims.) Note that the RED CARPET LIVE special didn’t begin until 7:08PM due to golf overrun. 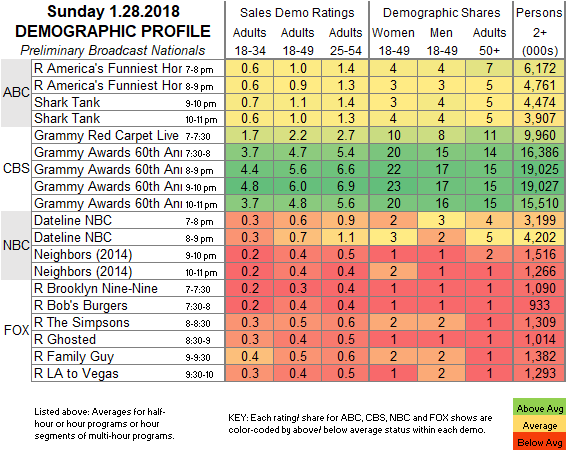 ABC: After reruns of AMERICA’S FUNNIEST HOME VIDEOS at 1.0/0.9, a pair of new SHARK TANK episodes were at 1.1/1.0, a bit better than last week’s 1.0/0.9. NBC: A 2-hour DATELINE at 0.7 was followed by a run of the movie NEIGHBORS at 0.4. 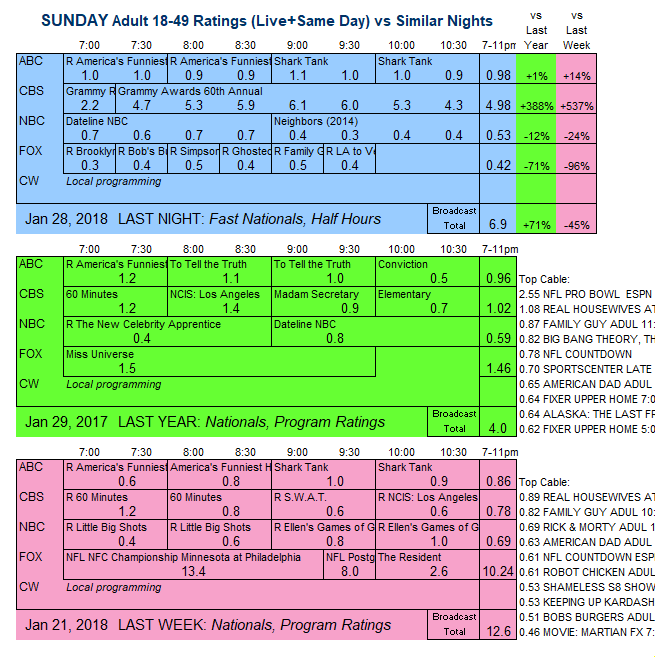 FOX: Comedy reruns at 0.3-0.5. CW airs the season (and almost certainly series) finale of VALOR tonight.